The IFS article has been removed due to copyright restrictions. I am including a synopsis of the article here. 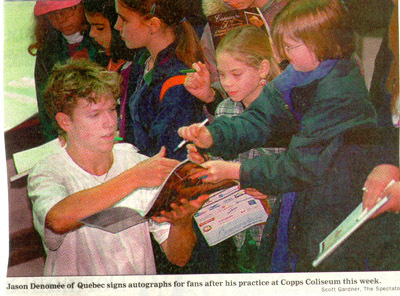 Browning likes what he sees in Canada's future skating stars - Kamloops Daily News - 20 May 1998. The article is an interview with Kurt Browning but Jayson get a mention. Bio from the AOL page and in the program. 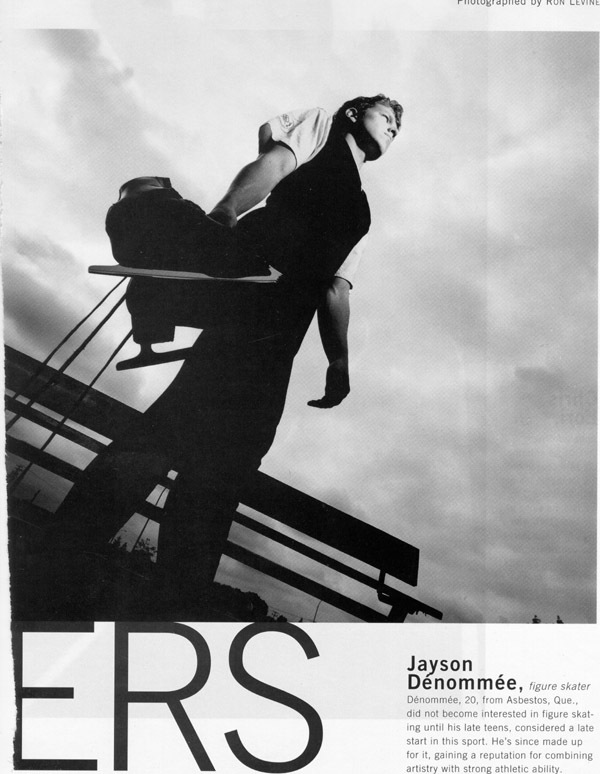 Jayson Dénommée, figure skater. Dénommée, 20, from Asbestos, Que., did not become interested in figure skating until his late teens, considered a late start in this sport. He's since made up for it, gaining a reputation for combining artistry with strong athletic ability. Canoe SLAM 2/6/97 Primarily an article on Stokjo but mention of Jayson among challengers. Toronto Sun 2/8/97 Preview of up and comers at 97 Canadians. Edmonton Sun 2/10/97 More predictions on up and comers. This 19-year-old men's singles skater represents our junior national team and trains in Brossard, Quebec. 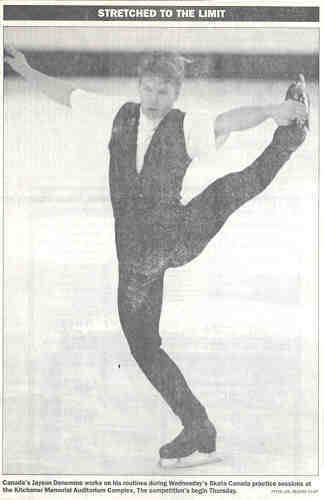 He won a silver medal in the junior category at the '96 Nationals and was also voted to the "Future Star" category at Skate Canada in 1995. Jayson is quoted a few times in this otherwise unbearable attack on Canadian ladies.